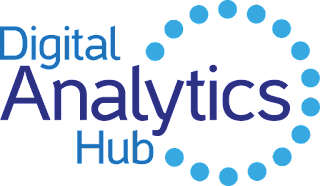 I will be conducting a full day advanced digital analytics class at DA Hub in Austin on Oct 17th. Do you have experience with influencing business change? Are you ready to move into reflective analysis that drives real return on investment for your company? Want to advance your career prospects? This course will help you deliver all of that. This interactive full day advanced digital analytics course will give you practical tools to elevate your analytics skills. It will also help you transition into a thought leader within your organization. Building upon the Fundamentals of Digital Analytics, this course encourages participants to critically examine methods and metrics in ways appropriate for their specific business model. Learn how to effectively communicate analytical data, best practices for site and campaign design, and examine campaign performance standards from the CFO perspective using control groups and simple predictive models. Create a framework for standardizing the evaluation of current performance measurements for website, search, display, email, affiliate and social channels. The course follows the Digital Analytics Association's syllabus and is endorsed by it. Participants will be awarded six Professional Development Units (PDU) towards their DAA Certified Web Analyst certification renewal credit.